Director Darren Aronofsky’s “Noah” is certainly not the Biblical version of The Great Flood you heard in Sunday School, but it is a fascinating reimagining of it. Considering the story of Noah and The Great Flood is detailed in four short chapters in the Book of Genesis, it makes sense that an artistic license would be taken to fill in the blanks for a flood that — at minimum — lasted “40 days and 40 nights.” Without it, the film could easily have been a five minute short film. For the most part, Aronofsky’s “Noah” touches base on all of the critical points in the Biblical telling of Noah. The “creative interpretation,” however, makes for distinct unfamiliarity as well. Unfortunately, this differentiation has led to much controversy. This is the result of audiences consciously failing to separate Aronofsky’s Noah from the Biblical Noah — and understandably so. The advertisement campaign released for Noah was tremendously misleading. From the trailers alone, it appeared that the Biblical tale of Noah would be produced literally. What the film actually showcased is far from. Given this deception, it’s reasonable why so many religious communities were offended: they simply were not mentally prepared for this altered, fantastical version of Noah. However, as an informed viewer, it’s important to research the controversy we are intrigued by before blindly walking into any film. Before watching the film, I researched Aronofsky’s project like it was my job and uncovered plenty of information regarding Aronofsky’s motives and agenda for his film. This foreknowledge granted me some mental preparation for the film. Nevertheless, even with this mental preparation, I was still taken aback by just how viciously contrasting and abstract the film was in comparison to the text it was “inspired” by. Instead of my usual rant on my way out of theaters, I awkwardly left the screening room, silent and confused. A few friends and I discussed our thoughts on the film, but we couldn’t really pin our overarching reaction. I personally was unable to organize my thoughts and emotions into a final verdict – especially without bias as a Christian. The challenge was separating the film from preconceived notions of Noah. I then took it upon myself to go for a second viewing. 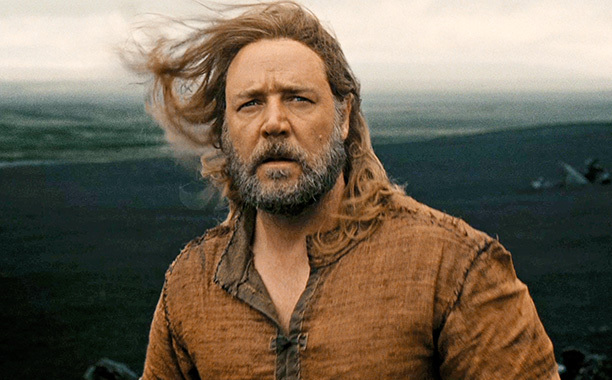 After the first, I finally felt mentally equipped to enjoy “Noah” as its own, independent, yet Biblically-inspired film. With this mentality finally set, it was the second-go-round that allowed me to fully appreciate the film. My final conclusion regarding the controversy: It shouldn’t be nearly as controversial as it is. 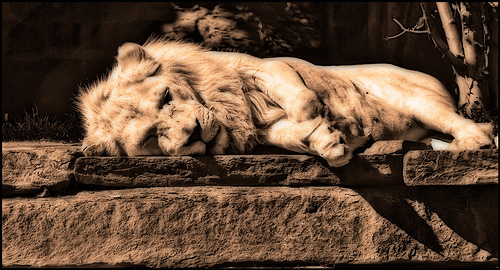 Aslan of “The Chronicles of Narnia” killed, symbolizing the death of the Biblical Jesus Christ. Narnia is everything imaginary and fantastical, filled with magical kingdoms, talking beasts, and remarkable creatures; yet, these stories as told by C.S. Lewis parallel various accounts found in the Bible. For example, the majestic lion, Aslan, is allegorical of the Biblical savior, Jesus Christ. Both died and were resurrected for the redemption of others. “The Chronicles of Narnia” metaphorically and fantastically illustrates various accounts from the Bible, and a large population of Christians have graciously embraced this series because of this. While “The Chronicles of Narnia” are not Biblical, it still encircles many positive, Biblical elements. Likewise, Aronofsky’s “Noah” should simply be viewed as a fantastical version of the Biblical Noah. Of course, another question of controversy that should be addressed is whether or not these fantastical elements strip away the core values found in Genesis. This is a reasonable concern. My reply to this concern is that it doesn’t – and does at the same time. 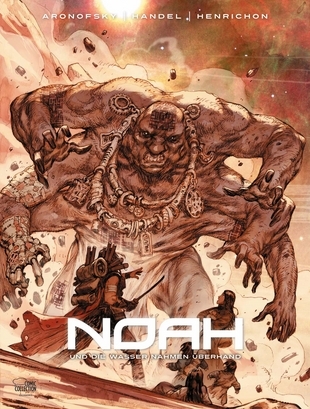 Aronofsky aimed to appeal to a larger audience beyond the theist community with “Noah.” One way he attempted to do this was by referring to the Biblical God as “The Creator.” This simple name change theoretically appeals to an immensely large audience such as Christians, Jews, Muslims, and even evolutionists and atheists. How? Simple. The meaning of “The Creator” can be interpreted as God, Allah, or even Mother Nature. It’s like poetry: the meaning is dependent on how you choose to interpret it. In addition to the name change, there are certain sequences in the film that seem to be geared towards a theist community, while at the same time can be construed as a nod towards evolution. In the film, for example, there is a time-lapse sequence that illustrates the Biblical story of Creation. While the narration that accompanies the time-lapse appears Biblical, the time-lapse itself almost looks as if a fish was evolving into a land critter, then a larger hairy, four-legged creature, then a monkey, then finally a man. This sequence seems to serve a duo-purpose: appeal to the Christian audience while giving a small nod towards evolution. Based off of the controversy that has been surging throughout the internet, it seems to me that by Aronofsky “appealing” to everyone, he appeals to nobody; only general audiences. With no target audience, a large majority failed to enjoy the film because they didn’t feel that it was for them. Noah overlooking the apocalyptic destruction of the entire world and its inhabitants. 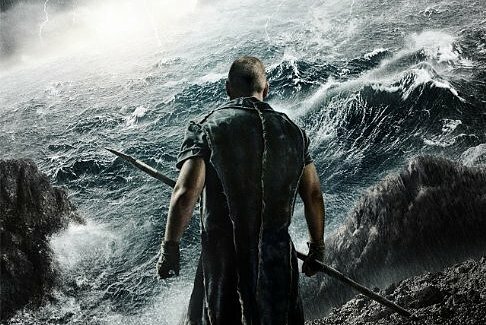 Another argument I’ve heard from many Christian radicals is that Aronofsky’s Noah is a “demonic character.” I counter this because the film never suggests a demon-possessed man. Instead, I believe his perceived wickedness and madness is a result of his suffering from survival’s guilt, a mental condition that occurs when a person perceives themselves to have done wrong by surviving a traumatic event when others did not. It may be found among survivors of combat, natural disasters, epidemics, among the friends and family of those who have committed suicide, and in non-mortal situations such as among those whose colleagues are laid off. This is a highly-probable cause for the dark and confused Noah we see portrayed in the film. Considering the task Noah I given, this condition is absolutely plausible. This mental condition also negates the argument that the film portrays “The Creator” – God, as Christians would interpret it – as a merciless being. This is false as throughout the film, there are various instances where God shows extraordinary mercy (i.e. granting the fallen angels “The Watchers” to come back to Heaven, providing Noah with the trees to build the ark, etc.). The film doesn’t portray God as a wicked, merciless character. Instead, Noah interprets his mission as God’s desire to completely wipe out humanity entirely. His interpretation of a merciless God, although faulty, is reasonable taking into consideration his survivor’s guilt. As a mere man, we can relate; many have been in a position where they believe God has deserted them before. But remember: While Noah thought The Creator meant to destroy all of mankind including those he loved, his family believed The Creator purposefully meant to wipe out the wicked men and begin afresh with Noah and his family. Noah and his family interpret various events differently (i.e. the birth of twin girls, the calm of the storm, etc.) based on their understanding of The Creator. This exemplifies how different people interpret God’s meaning differently. And maybe – just maybe – the film’s style reflects the many interpretations people often make of “The Creator.” Poetry. 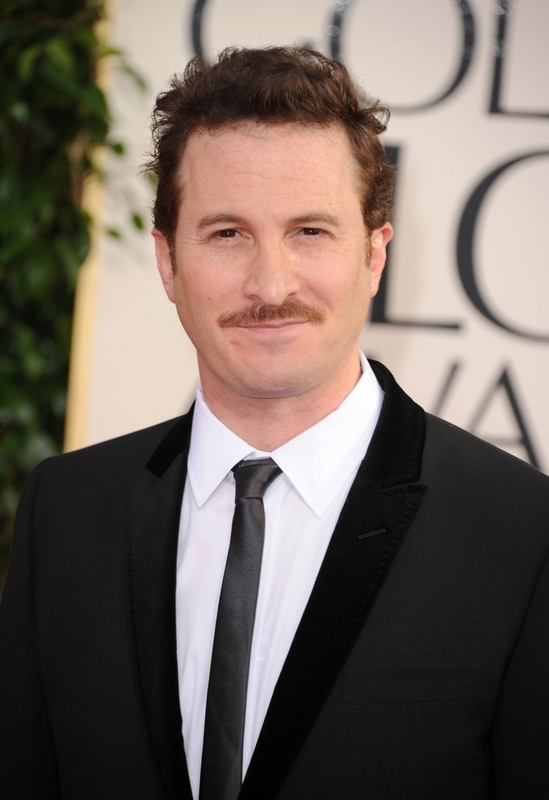 Another argument that has bothered me is the attack on Darren Aronofsky as a person. The argument, paraphrased, essentially says that “Noah” is an anti-Christian production because Aronofsky is an atheist. Others have supported this argument because Paramount Pictures – producer of the F-bomb-minefield, drug-infused,sexually-explicit “Wolf of Wall Street” – funded for Noah. Their conclusion: the film must be anti-Christian. This is such a childish argument that I learned to negate in high school, folks. You can’t critique a film solely on a person’s beliefs. That is a common fallacy called ad hominem, in which a claim or argument is rejected on the basis of some irrelevant fact about the person presenting the argument — or in this case, the film. It’s annoying that I even feel the need to address this argument because it’s elementary, dear Watson: attacking Aronofsky’s beliefs (or Paramount’s history) is irrelevant when attempting to attack his film. I will grant that one’s beliefs may influence their argument/project, but in the case of Aronofsky’s “Noah”, there is no clear element in the film itself that appears to be in the slightest anti-Christian. In conclusion, I can see how this controversy began. I was there; I was confused, too. However, people shouldn’t be so rash and quick in their feedback simply because of their bias and preconceived notions of the Biblical Noah. I loved the film, in respect to both its creative interpretation and story, and I think that it’s a great conversation-starter. Just make sure the conversation is informed and without unnecessary prejudice. Christian Herrera is a journalism and communication studies double major. He can be reached at herrerac@huntington.edu. The review reflects the view of the writer only.